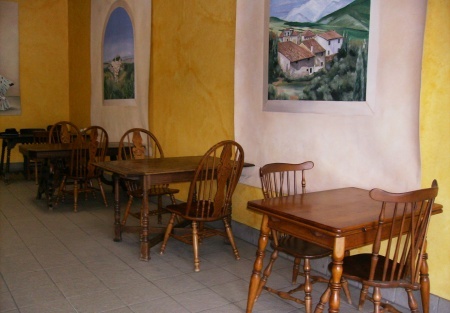 Gourmet Pizza Restaurant in Beautiful Area - Perfect For Take-Out too! This Gourmet Pizza Restaurant has been in business for 19 years. It Sits in a high traffic location of one of L.A. most desirable areas to live and an area where restaurants don't come on the market very often. Sit in the dining room and look a the beautiful mountain views in this tranquil community. The owner wants to retire and has lost passion for business and family members are no longer helping her in the operation, so there is nothing but upside in this restaurant. It has a good Loyal customer base in a good income area that can be expanded with new owner that brings new energy and vision. You can grow the business by extending the hours of operation to capture the lunch business and offer better delivery service as well and this could once again become a gold mine establishment. Add Beer and Wine and further increase your business clientele and sales. Go to the Orange Button Below WANT NAME and ADDRESS to get more information on this listing.